When you hear the word 'Peru', what comes to mind? Remote mountain peaks draped in mist? Lost cities of gold? The legendary Inca Trail to the Machu Picchu? Anything else? The reality is that, for most people, Peru is pretty much Machu Picchu. But, this country that sits between Chile and Bolivia on South America's western edge, nearly twice the size of France, is home to an astonishing diversity of geography, people, places and experiences. "Visitor numbers to Peru have increased one hundred percent in the past ten years", says Fran Armitage from ATAS accredited tour operator, Chimu Adventures. "And it is no wonder with Lima’s vibrant cultural and restaurant scene, the Amazon Rainforest in the country's East, the beautiful Sacred Valley near Cuzco, and emerging alternatives to the iconic Inca Trail that connect you with ancient landscapes and traditional Peruvian life’, continues Fran. Explore Peru and you'll find thousands of kilometres of coastline and beaches, soaring peaks and avenues of volcanoes, deep canyons, sandy deserts and oases, and vast stretches of the Amazon basin. Overlay that with a remarkable history of ancient cultures, empires, conquests and - yes - lost cities of gold, and you have a destination unlike any other. Here's a handful of things that might surprise you about Peru. Your preferred ATAS accredited travel agent can help you plan every part of your perfect Peruvian adventure from flights and accommodation, touring and cruising, travel insurance and transfers. Surfing might not be the first thing you associate with Peru. But the country is flanked by nearly 2,500 kilometres of Pacific coastline and has an age-old human connection with it, as evidenced by pre-Inca Moche pottery from Peru's northern coastal regions depicting figures standing on logs floating amongst the waves. Furthermore, the reed 'caballitos de totora' (the original stand-up paddle boards) of Huanchaco are considered one of the world's earliest surf craft. Visit Huanchaco and you'll still see local fisherman paddle out through the waves and ride back to shore on them. It's perhaps not surprising that many historians believe Peru's north is the true birthplace of surfing. Famous for its left-hand surf breaks, delicious local ceviche (raw fish cured in lime or lemon juice), and the aforementioned caballitos de totora, Huanchaco is a popular beach town near the city of Trujillo in northern Peru. In addition to the surf, another major attraction is its proximity to the ancient coastal ruins of Chan Chan - the largest city of the pre-Columbian era in South America. Puerto Chicama (or Chicama, for short) is a port and small town 70 kilometres up the coast from Huanchaco, famous for having one of the longest waves in the world. The distance from Chicama’s headland to the port's pier is over two kilometres which, locals confirm, has been ridden on a single wave. Máncora is a resort town on Peru's northwest coast renowned for big waves and bars that fuel a notoriously lively nightlife. There are hot springs and mud baths southeast of town, and whales visit the Máncora's waters during their annual migration between July and October. For a long time, Peruvian food was known simply for a pair of staples that sustained local communities for millennia: potatoes and corn. But with a diverse climate producing an array of fresh ingredients, rich Peruvian fishing grounds delivering a bounty of fish and shellfish, and centuries of culinary influence from Europe, the Middle East and Asia (Japan, in particular), new Peruvian cuisine has taken the global dining scene by storm. "The 2018 World's 50 Best Restaurants showcases Peru's position in the global dining pecking order with two Lima restaurants named in the top 10—Central at 6, Maido at 7. Another Lima fine-diner, Astrid y Gaston, came in 39th", says Chimu Adventures' Fran Armitage. Elsewhere, ceviche, rice, fowl and goat are common elements of coastal cuisine in Peru’s north. Andean and highland cooking features potato and sweetcorn in all its varieties along with cuy (guinea pig) and chili pepper. The jungle brings wild game to the table with a side of fried banana. Sit atop a dune in southern Peru's sandy Ica Region and you might be excused for thinking you were in the middle of the Sahara Desert or the Arabian Peninsula's 'Empty Quarter'. Only, this place is anything but empty. The city of Ica is the region's capital, home to more than 200,000 people. Founded in 1563 by Spanish conquistador Gerónimo Luis de Cabrera, Ica lies 300 kilometres or so south of Lima. It's also just five kilometres from Huacachina, a tiny oasis village that encircles a small lake surrounded by towering dunes. This astonishing splash of green sits like a cliché in a sandy desert that stretches as far as they eye can see. Huacachina rings the lake and caters mostly to tourists, many of whom take to the dunes on sand-boards, careening downhill at great speed. With a permanent population of just 100 people, Huacachina is visited by tens of thousands of travellers every year and is featured on Peru's 50 Sol note. The Inca Trail is one of the world's great walks, bringing thousands of visitors to Machu Picchu each year. A victim of its own success, however, the Trail has been heavily regulated in recent years in the interests of sustainability and protection of the trail's ecology and integrity. Hiker numbers are capped daily, and there's a limited number of companies licensed to operate escorted walks bringing tourists to the trail's end at the Sun Gate at Machu Picchu. But the Inca were master road builders who constructed a vast network of trails right across the Andes. In recent years, these trails have opened up new, less-trekked routes to the famous citadel. "Sometimes it will be just you and the llamas on these alternative trails", says Armitage. "You will see the authentic side of rural Peruvian life here, connecting with the history of this ancient terrain along the way", she continues. One such alternative is the Salkantay Trek which crosses the high Salkantay Pass, descends into the cloud forest and then by the Inca ruins of Llactapata with views of Machu Picchu. This trek was recognised by National Geographic Adventure Travel Magazine as one of the 20 best treks in the world in 2012. The Lares Route is another trek gaining in popularity. The Lares Valley sits 20 kilometres from Cuzco. Life here continues as it has done for centuries, and locals are very likely to be the only people you encounter as you trek from the tiny hamlet of Lares, home to a famous hot spring. Along the way, the trail winds past the soaring Mount Veronica and a number of high-altitude lakes. The Lares trek typically ends near the historic town of Ollantaytambo. From there, a 90-minute train trip brings you to Aguas Calientes in the shadows of Machu Picchu. You may never have heard of it, but Peru’s Colca Canyon is one of the deepest chasms on the planet. It's also a prime spot to encounter the world’s largest flying bird, the Andean Condor. Sit yourself on the canyon's rim at dawn and you might just encounter hummingbirds and condors in the same airspace. The tiny hummingbirds beating their wings incomprehensibly fast, the condors seemingly never beating theirs as they arc and swoop and rise on thermals warmed by the morning sun. Accessed from the white-stone city of Arequipa in the shadow of the el Misti volcano (5,825m), the canyon boasts some of Peru's most breath-taking landscapes and beautiful trekking circuits. Head out and you'll see remarkable mountains terracing, snow-covered peaks, dizzying canyon-edges and towns dating back to the sixteenth century. Did you know that Peru is home to the second-largest part of the Amazon rainforest after Brazil? In fact, it covers 60% of the country east of the Andes right out to Peru's borders with Ecuador, Colombia, Brazil and Bolivia. The Peruvian Amazon is one of the most biologically diverse areas on Earth, and the jungle towns of Iquitos and Puerto Maldonado are the epicentre of Peru's ecotourism offering, luxury lodges and expedition cruising. The first industrial boom out here was fuelled by the rubber-tapping industry of the late 19th century. The fortunes made in Iquitos are still evident in the bustling riverside walkway, mansions built in the Art Nouveau style with materials brought from Europe, and Casa de Fierro - designed by legendary French architect Gustave Eiffel. Puerto Maldonado sits just 55 kilometres from the Bolivian border, near Manú National Park, Tambopata National Reserve, and Bahuaja-Sonene National Park - some of the most pristine rainforests in the world. Peru's Amazon region draws visitors from all over the world seeking rare encounters with remarkable endangered species like the giant Amazon river turtle, the Amazon manatee, pink river dolphins, the giant river otter, the black cayman and the world's largest freshwater fish species - the paiche. There’s so much more to Peru than Machu Picchu. If you’re planning a Peru adventure of any kind, your ATAS accredited travel agent can work with you to create the perfect experience from the moment you leave home. 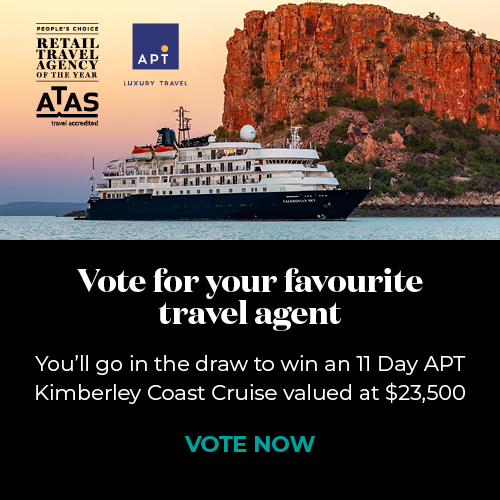 Travel confident that you have an ATAS accredited travel agent in your corner. After all, without one, you’re on your own.